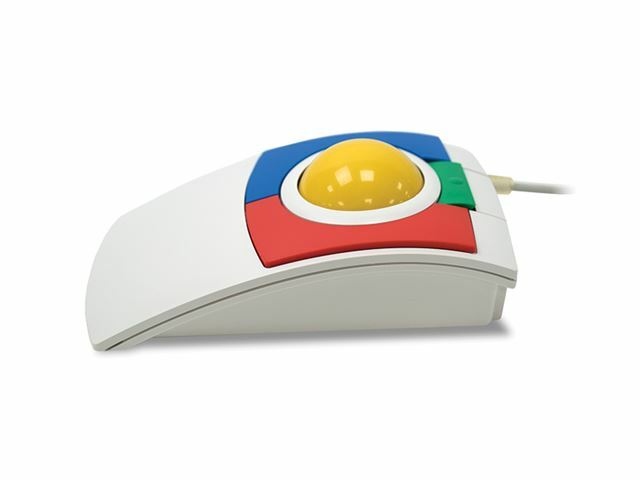 This is a large sturdy and affordable, full-sized, three button trackball, which is 100% Microsoft mouse compatible and very popular. The low profile case acts as a natural hand rest. 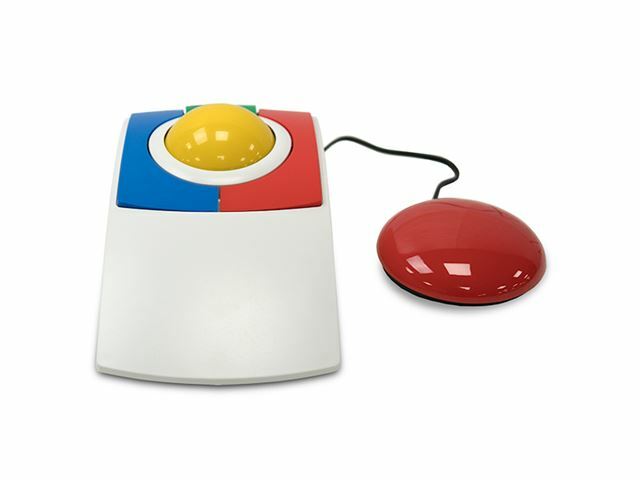 The central green coloured key (situated at the back of the yellow ball) is a "drag lock" feature - simply press the drag button and the button stays 'locked' until you press a second time. Supplied with USB connector. For PC only. 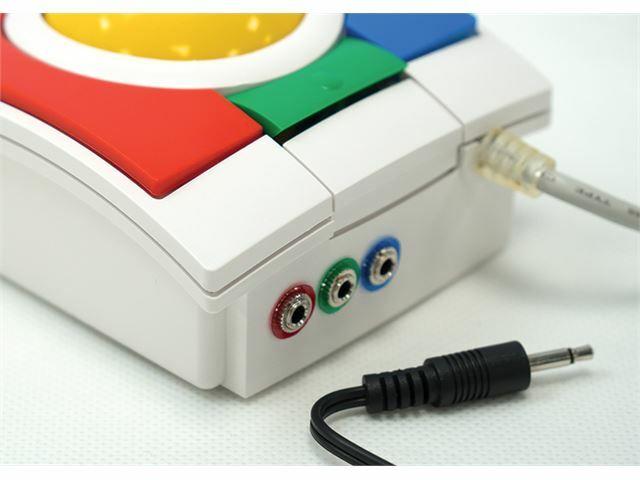 The three colour coded switch jacks allows easy switch operation of the left (blue) button, right (red) button and drag-lock (green) button . We can supply blue, red and green AbleNet Switches, Pal Pad Switches or Traxsys Adjustable Pressure Switches to match. 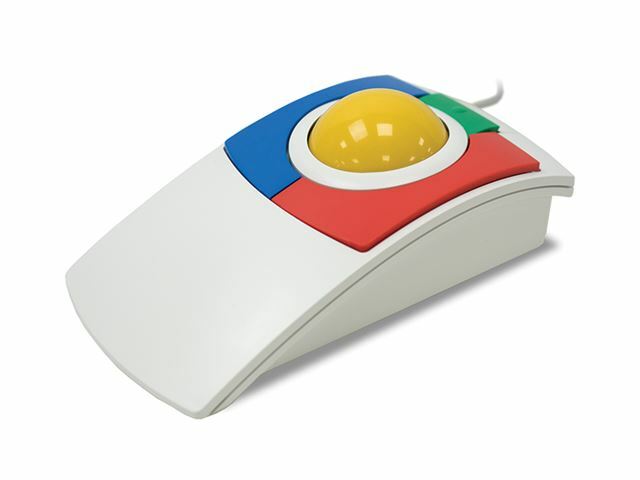 This device allows mouse-click access to all of our simple switch software. 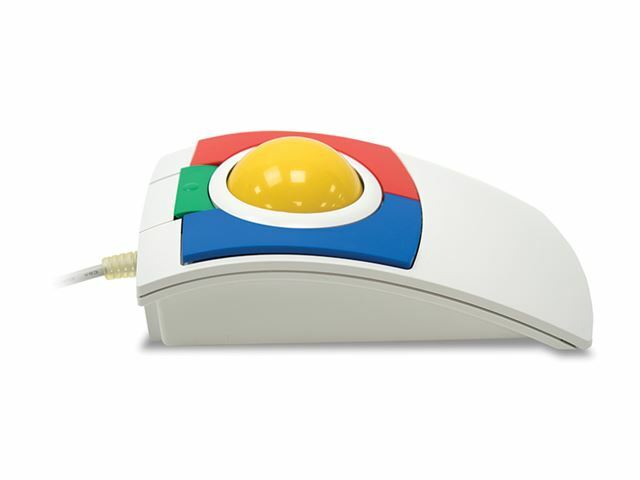 If your student can use the rollerball they will be able to access more complex software like Clicker or Inclusive Writer. 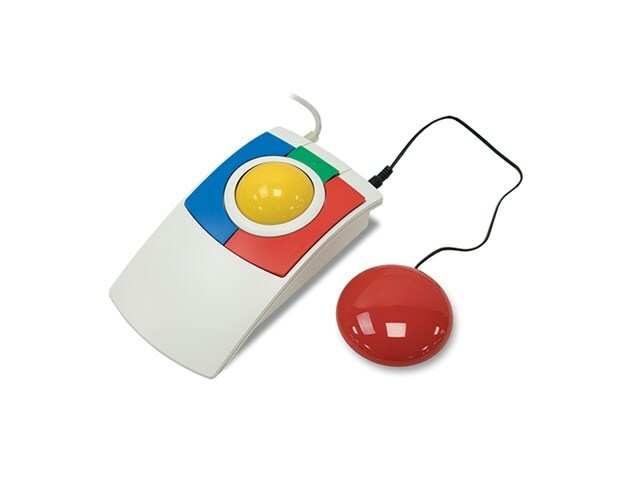 You can connect the Inclusive KidTRAC to your computer using the Y-mouse connector. 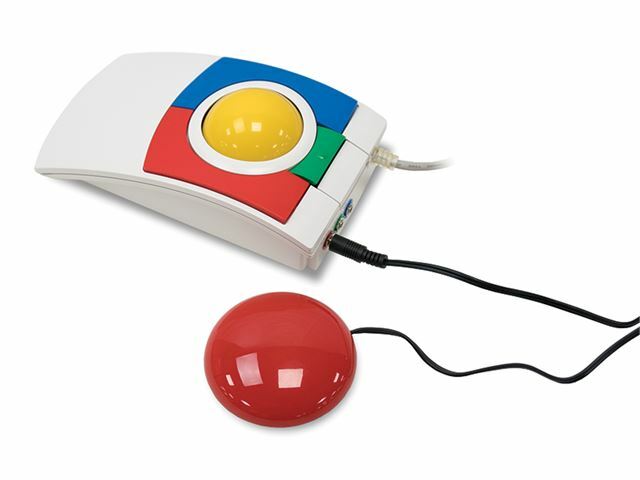 We have adapted the regular CST KidTRAC.